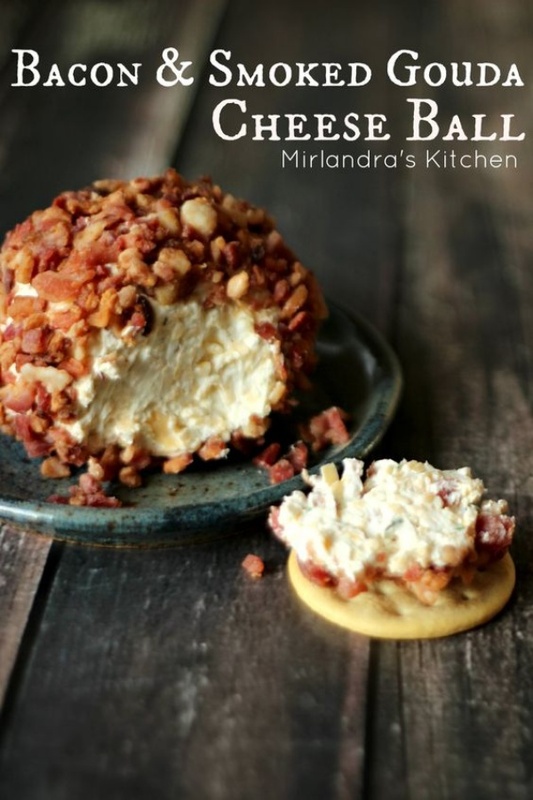 Bacon and Smoked Gouda Cheese Ball By Mirlandra | Mirlandra's Kitchen. The perfect nut free cheese ball full of smoked Gouda and rolled in yummy bacon. In 10 minutes you can make a picture perfect ball that everybody will love.